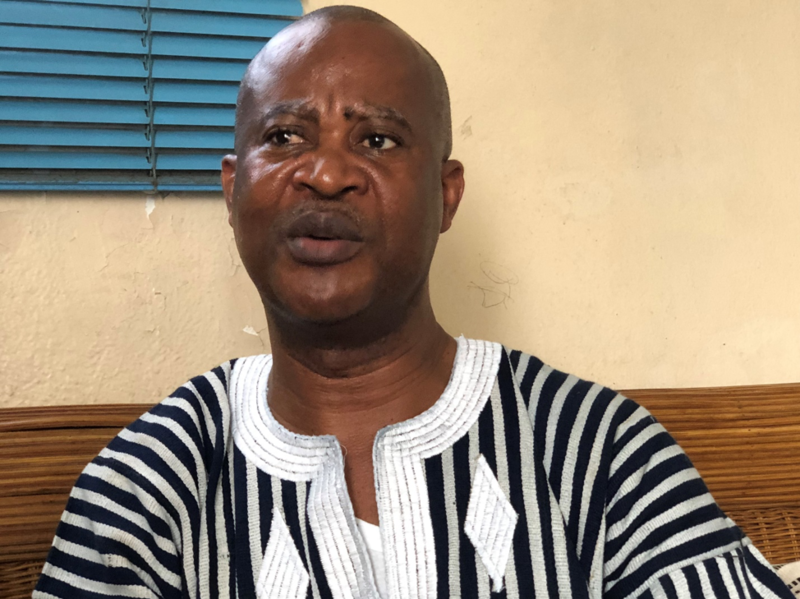 Monrovia – Charging that there is a leadership deficit in Liberia, Human Rights Activist Attorney Samuel Kofi Woods says the door remains open for a possible shot at competitive politics; but whether it is a possible run for the Montserrado County Senatorial race in 2020 or the Liberian presidency in 2023, he says, is a matter currently under consideration. Attorney Woods explained that in his many years of public life he has learned to never close a door on a political life. This, he said was inspired by a conversation he had with veteran American journalist Mark Wallace who once posed the question to him during an interview for the Sunday Morning Show on CBS. Attorney Woods, who was one of the founding members of the Liberia People’s Party, served as Secretary General in the party for several years until 1991 when he stepped down to take up a leadership role in the Justice and Peace Commission. Formed in 1983, the LPP was the electoral wing of the Movement for Justice in Africa (MOJA) of Dr. Togba-Nah Tipoteh. It’s membership also included the likes of Dr. Amos Sawyer, who previously served as President of the Interim Government of National Unity (IGNU) from1990-94. The party participate in the July 1997 elections with Dr. Tipoteh winning 1.61% of the vote. The party won 1 out of 64 seats in the House of Representatives but failed to win a seat in the Senate in a poll, international observers deemed free and transparent although it had taken place in an atmosphere of intimidation because most voters believed that former rebel leader and National Patriotic Party (NPP) candidate Charles Taylor would return to war if defeated. In the October 2005 elections, the LPP and the United People’s Party participated as part of the Alliance for Peace and Democracy (APD), supporting Dr. Tipoteh for president. In the 2011 presidential and legislative elections, both parties were part of the National Democratic Coalition, backing Dew Mayson for president. In the same elections Dr. Tipoteh ran under the banner of the Freedom Alliance Party of Liberia. On Tuesday, Attorney Woods, reflecting on his progressive past said his stint with the LPP was the only time he was involved in active political activities. Said Attorney Woods: “I became a member of the LPP until I resigned in 1991 to take up responsibility at the Justice and Peace Commission. Attorney Woods also threw pointed jabs at critics of Professor Alaric Togba, who of late has been a critical voice against the ruling Coalition for Democratic Change. He said it is because of those shoulders that President Weah is standing on today – and thus, he must acknowledge it by demonstrating tolerance, by holding the constitution of this country, by promoting integrity in government, by delivering to the Liberian people the just benefit of our natural resources, by doing the right thing – that’s what we want. Woods was born in Monrovia on May 1, 1964 and was one of twenty children. He has worked in the field of human rights and has been vigilant in exposing child labor practices and injustice throughout Liberia. Active even while a student, he was first arrested in 1981. During the Liberian civil war in 1989 Woods escaped to Ghana, but returned to Liberia in 1991 and founded a human rights organization, the Catholic Justice and Peace Commission. He operated a radio program aimed at exposing improper arrests, unlawful executions and informing citizens of their civil rights. In 1994 Woods created the Forefront Organization in order to shed light on human rights abuses during the Second Liberian Civil War. In 2006, Woods became the Minister of Labor under President Sirleaf, only to become Minister of Public Works in 2009 following a cabinet shake-up. He won the Reebox Human Rights Award in 1994 and received the Pope’s human rights medal. Woods graduated with a Master of Arts in Development Studies, and a specialization International Law and Organization for Development at the International Institute of Social Studies under Erasmus University in Rotterdam in The Hague, Netherlands.